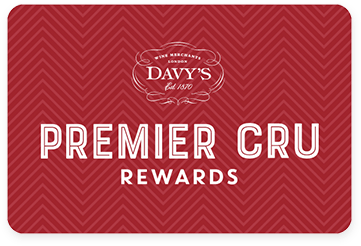 Premier Cru Rewards - Purchase this today and earn 87 points to redeem for free wine and gifts. Unfortunately due to excess demand we have now sold out of 2007. Only made in exceptional years, the next available vintage is 2011 which will arrive with us shortly, just in time for Christmas. You can pre-order it via this link. This small family estate, owned by Anne Marie and Jean-Marie Astart, is well known for producing excellent wines from old vines with very low yields (in some cases as low as 18 hectolitres per hectare, half the average yield in Rhône) so it would be an understatement to say they are passionate about what they do. They mainly produce wines under the Cairanne AOC, a Côtes du Rhône Villages that recently gained its cru status joining Châteauneuf du Pape, Gigondas and Vacqueyras. Mostly old vine Grenachea and Carignan with a little Syrah and some Counoise. The ‘Col du Débat‘ vineyard is high up on the slopes of the Ventabren Massif. Protected from the sun’s hottest rays, it bears the full brunt of the Mistral wind when it blows. Yields are just 18-20 hectolitres and just 250 – 650 cases are made each year. Intense nose of savoury, spicy, and earthy notes. Soft with round tannins with good acidity.